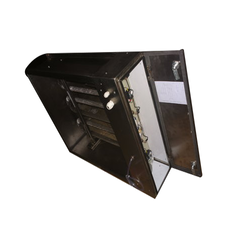 We are a leading Manufacturer of air duct heaters, electric duct heaters, duct heaters and circular duct heater from Delhi, India. We are the prominent company involved in manufacturing, supplying, trading, service providing, importing and exporting Air Duct Heaters. Known for their durable construction and unmatched quality, these heaters are made by using optimum raw material by our expert team. 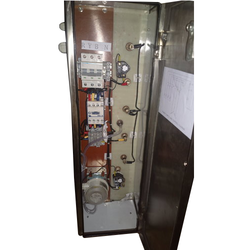 In addition to this, these are extensively used in air and gas heating applications in several industries. Apart from this, our customers can avail these heaters at reasonable prices. Backed by our rich industry experience, we are involved in the domain of manufacture, supply, trade, service provider, import and export of Electric Duct Heaters. Widely used for heating applications, these heaters are renowned for their excellent functionality and high durability. These duct heaters utilize the advanced tools and technology in order to operate to its utmost level. Furthermore, these heaters have inbuilt custom settings which could be used by anyone. Enriched with years of experience and our expertise, we are involved in the field of manufacture, supply, trade, service provider, import and export of Duct Heaters. Developed by the skilled professionals utilizing the cutting edge technology and sophisticated tools, these heaters have excellent heating capacity. We being customer centric organization deliver these duct heaters within the stipulated time frame to the clients. Heater Material S.S 202, S.S 304, Seamless etc.